Shots fired! While our media has been pointing out how Chinese buyers are driving up real estate prices, the Chinese media has been dissecting our economy and government, and warning Chinese buyers of the dangers of owning Canadian real estate. We're always curious to know how other countries interpret our statistics, political climate and what outside media is reporting about Canada's economy. Since China has been a hot-button subject in Canadian news recently, we thought it was high time we took a look at how Canada is portrayed in China's state-regulated media. While the Chinese media does acknowledge that Chinese buyers are a contributing factor to our prices -- and admit they have been capitalizing on it -- they also point out some interesting observations that our media has failed to cover. Here are the most interesting points we found from three major Chinese publications. Hexun, China's largest finance portal, recently published an article pointing to Canada's debt-fuelled economy. They noted that Canadians have the largest debt-to-income ratio of any G7 country, with the average spending 165 per cent of their salary. To contrast, at the height of the U.S. housing crisis in 2008, Americans carried what was then considered an outlandish 147 per cent debt-to-income ratio -- 17 points lower than where we currently sit. Canada's total household debt reached $1.892 trillion, with $1.234 trillion of that as mortgage debt -- roughly 65 per cent more than we make per year. To put that $1.82 trillion into perspective, we could have run the U.S. government for eight months with that amount of money. CN Gold, another one of China's large financial sites, ran an article quoting Toronto-based economist Paul Ashworth who told them "This is a very big bubble. And it's going to end in tears." They then went on to say that once this bubble bursts, real estate will likely be a major "blow to the Canadian economy." Sina.com's real estate partner and NYSE-listed Leju was quick to point out that while the average home price in Vancouver is up more than 30 per cent, the province is in a state of "stagflation." Stagflation is a fancy word that describes when the cost of living increases but there is stagnant demand in the economy. They go on to say B.C. has one of the lowest median incomes in the country, and the B.C. government is hoping rising home prices will "render some good." Real estate and related services were one of the few high-paying growth sectors contributing to our economy over the past year. A significant portion of our growth is in low-income sectors like retail and hospitality service. 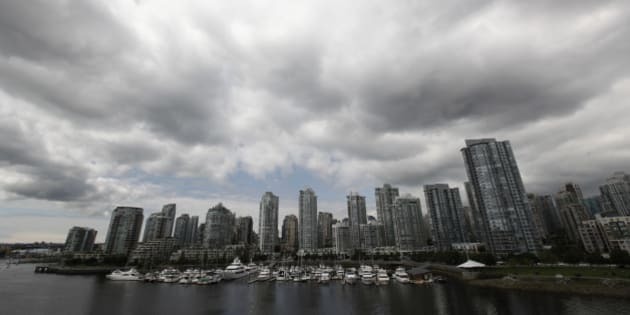 While they didn't put statistics to those statements, we recently published an article that showed Vancouver's home prices have risen 172 per cent in the last 15 years, while income has only moved up 10 per cent. The struggle in VanCity is real. Most interesting, Chinese media outlets are questioning the timing of all of this. After all, Vancouver's real estate has been growing at an unsustainable rate for years (more like decades), while incomes have stagnated. An author from Leju wrote that the Asian investment conversation is being brought on as platforms for the Vancouver municipal and B.C. provincial elections. Leju also explained that other cities like Toronto, that have substantially more international buyers, are not having discussions about "vacancy taxes" and "restrictions." They further allege that the government in Vancouver and B.C. are looking to distract constituents with "other factors" to explain why income in the province is one of the lowest in Canada. 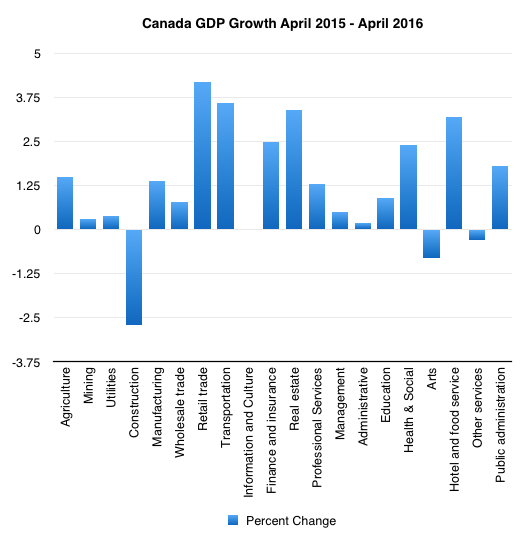 This crisis threatens the stability of [the Canadian] financial system." Hexun was a little more blunt, stating the Government of Canada "must introduce policies to cool the property market, or face collapse," further adding that "this crisis threatens the stability of [the Canadian] financial system." While you should approach all media with a grain of salt, they bring interesting points to the table that should be part of the discussion. In Vancouver's market where mayor Gregor Robertson made almost four times his annual salary selling a home he lived in for only two years, and B.C. Finance Minister Mike de Jong has a stake in seven homes (only five mortgages, though), are Chinese speculators the problem or are all speculators contributing to the problem? Also, as Canadians we tend to not discuss things like declining income, which is unfortunate because it's a big part of our housing story. We're building a different kind of news outlet that aims to stimulate discussion, but we need your help. Like this article? Share it with a friend. Hate it? Give us a tweet and tell us why. Like us on Facebook to get notified when the next post goes live. This post originally appeared on Better Dwelling.